Charlotte Morgan’s got every reason to take an intensely personal interest, even if solving a murder’s a bit of a stretch for a 26-year-old amateur sleuth raised in a 55-plus Florida community–golf-cart racing’s usually about as exciting as it gets for her. 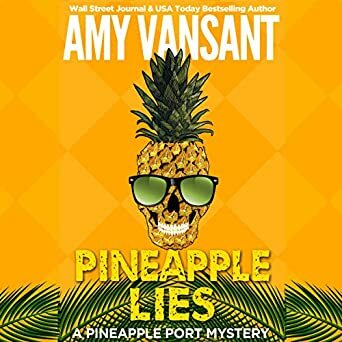 In Amy Vansant’s first Pineapple Port cozy mystery, quips get flung and puns get slung, making for a hilarious read, but even better, Pineapple Port’s just a place you want to hang out. Pineapple Port is a wonderful character in itself, as much a parallel universe as Hogwarts, with its own exotic customs and quirks. People have nicknames like Jenny Teacup (because she collects tea sets), exercise comes in the form of water aerobics, and Poolside Breakfast is a big social event. Vansant has perfect pitch when it comes to her human characters as well. The Pineapple Port Mystery Series is perfect for fans of those reassuringly cozy mysteries set in small towns, from Agatha Christie’s Miss Marple right on through Carolyn Hart and up to Jana DeLeon. If you happen to like romantic comedy, or even just funny mysteries—especially those with intrepid women sleuths– you’ll devour it! 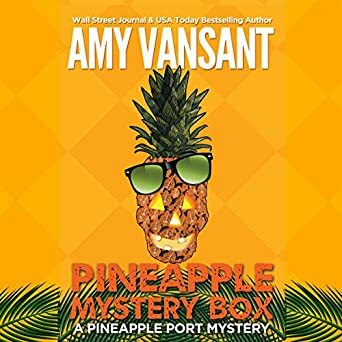 Pineapple Mystery Box: A Pineapple Port Mystery: Book Two SALE! 62% off! Book TWO of the laugh-out-loud mystery series from Wall Street Journal and USA TODAY Best-Selling author Amy Vansant. If Janet Evanovich’s Stephanie Plum and the Golden Girls had a baby, it would be the Pineapple Port series! The wacky retirees of Pineapple Port are eager to help Charlotte solve the mysteries, as long as it doesn’t interrupt their water aerobics schedule. 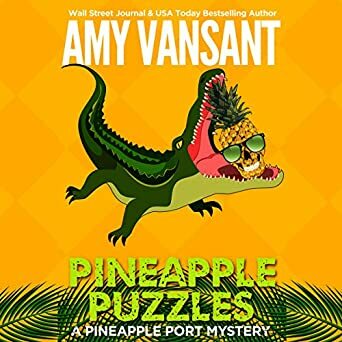 The Pineapple Port Mystery Series is a cozy mystery with edgy twist that will keep you on the edge of your seat and keep you thinking. Fans of Agatha Christie, Lilian Jackson Braun and Rita Mae Brown won’t be able to get enough of this fabulously funny, mysterious world! 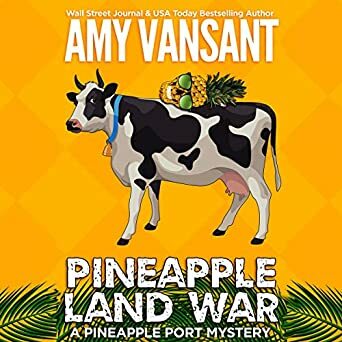 The Pineapple Port Mystery series is both sweet and edgy and always hilarious! Fans of Lillian Jackson Braun, Carl Hiaasen, and Jana DeLeon won’t be able to stop listening to the Pineapple Port series until it is done! From Wall Street Journal & USA TODAY Best-Selling Author, Amy Vansant – an all too real, hilarious romance.